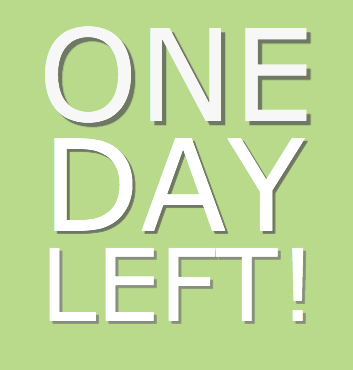 Just a day left behind until your Pro-rated Form 2290 Deadline. E-File Now! Truckers, kindly spare few minutes amidst of your busy on road schedule to read this article as this article will clearly explain you about the near term HVUT Form 2290 deadline which is due by Jan 31st, 2018. However, this deadline is only applicable for trucks which were purchased/re-purchased and been used on the road since December 2017. Federal law states that Form 2290 must be filed on a vehicle by the last day of the month following the month of its first use. On that note, Form 2290 is due tomorrow for vehicles which were been used since December 2017. Hence, we don’t have much time to procrastinate or to elongate upon this deadline. So, Act fast and E-File your pro-rated form 2290 as soon as you can. E-filing your annual HVUT is way simpler than you imagine. We got the most user friendly application setup for you where e you’d be able to fill out your tax return by simply answering few questions during the filing process and rest is been taken care by our application in terms of generating your report in a PDF (Portable Document Format) . Post reviewing your tax PDF, you may electronically transmit your tax return to the IRS for acceptance. This entry was posted in Form 2290, HVUT 2017 -2018, Truck Tax Online and tagged 2290 e file, Agriculture Vehicle, American Trucking, can form 2290 be efiled, can you e-file form 2290, e file form 2290 irs, e file heavy highway vehicle use tax return, e-file for form 2290 excise tax filers, e-file-Form-2290, e-filing your form 2290, ein, federal heavy highway vehicle use tax, Form 2290, Form 2290 Amendment, form 2290 application, form 2290 category w, form 2290 contact number, form 2290 download, form 2290 due, form 2290 e file providers, form 2290 exemption, form 2290 explained, form 2290 extension, form 2290 federal excise tax, form 2290 filing date, form 2290 heavy highway vehicle use tax return instructions, form 2290 heavy highway vehicles, form 2290 help, form 2290 highway use tax, form 2290 instructions 2017, form 2290 irs online, form 2290 july 2017, form 2290 late penalty, form 2290 renewal, heavy duty truck tax, heavy goods vehicle tax bands, heavy goods vehicle tax rates, heavy highway motor vehicle use tax, heavy highway vehicle tax, heavy highway vehicle tax 2290, heavy highway vehicle tax form 2290, heavy highway vehicle tax return, heavy highway vehicle tax return form 2290, heavy highway vehicle use tax, heavy highway vehicle use tax contact, heavy highway vehicle use tax deductible, heavy highway vehicle use tax due date, heavy highway vehicle use tax e file, heavy highway vehicle use tax efile, heavy highway vehicle use tax exemption, heavy highway vehicle use tax form, heavy highway vehicle use tax information, heavy highway vehicle use tax mailing address, heavy highway vehicle use tax online, heavy highway vehicle use tax phone number, heavy highway vehicle use tax refund, heavy highway vehicle use tax return, heavy highway vehicle use tax return address, heavy highway vehicle use tax return due date, heavy highway vehicle use tax return form 2290, heavy highway vehicle use tax return instructions, heavy highway vehicle use tax return online, heavy highway vehicle use ttax instructions, heavy truck excise tax, heavy truck fuel tax, heavy truck highway tax, heavy truck highway use tax, heavy truck road tax, heavy truck road use tax, Heavy Truck Tax, HEAVY TRUCK TAX 2290, heavy truck tax deduction 2017, heavy truck tax form, heavy truck tax irs, heavy truck tax write off heavy vehicle use tax online filing, heavy truck use tax, heavy vehicle excise tax, heavy vehicle fuel tax credit, heavy vehicle road tax, Heavy vehicle tax, heavy vehicle tax 2290, heavy vehicle tax break, heavy vehicle tax clearance hawaii, heavy vehicle tax credit, heavy vehicle tax credit 2017, heavy vehicle tax deduction 2017, heavy vehicle tax form 2290, heavy vehicle tax payment, Heavy Vehicle Use Tax, heavy vehicle use tax cost, heavy vehicle use tax due date, heavy vehicle use tax exemption, heavy vehicle use tax exemption form, heavy vehicle use tax fees, heavy vehicle use tax filing, heavy vehicle use tax form, heavy vehicle use tax instructions, heavy vehicle use tax online, heavy vehicle use tax questions, heavy vehicle use tax refund, heavy vehicle use tax return, heavy vehicle use tax return form 2290, heavy vehicle weight tax, how do i e file form 2290, how to e file form 2290, HVUT, hvut 2017, HVUT 2017 -2018, hvut 2290, hvut 2290 due date, hvut amount, hvut cost, hvut due date, hvut filing, hvut form 2290, hvut form 2290 instructions, hvut form 2290 online, hvut instructions, hvut tax, IRS, irs form 2290 contact number, irs form 2290 due date, irs form 2290 e file, irs form 2290 heavy highway vehicle use tax, irs form 2290 heavy highway vehicle use tax return, irs form 2290 instructions 2017, irs form 2290 mailing address, irs form 2290 online, irs form 2290 payment, irs form 2290 pdf, irs form 2290 questions, irs heavy highway vehicle use tax, irs heavy vehicle tax form, IRS watermark, is form 2290 filed annually, Late 2290, Late HVUT fees, Late HVUT payment, Owner Operators, pay heavy highway vehicle use tax online, pay heavy highway vehicle use tax return online, pay heavy vehicle tax online, semi truck tax deductions, semi truck tax depreciation, Truck Licensing, Truck Tags, truck tax online, Truck Tax Online 2290 e file, Truckers, Vehicle Identification Number, VIN Correction, what is a form 2290, what is heavy highway vehicle use tax, what is the heavy highway vehicle use tax, when is a 2290 form due, when is heavy highway vehicle use tax due, where to pay heavy highway vehicle use tax on January 31, 2018 by Truck Dues.